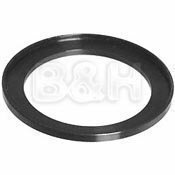 This step ring allows you to attach a standard 77mm filter to a lens that takes 72mm filters. This allows you to have a set of filters that will fit on more than one size lens. Constructed of lightweight aluminum, these step rings are easy to use. Allows you to use one set of filters on multiple lenses. View More In Filter Accessories.